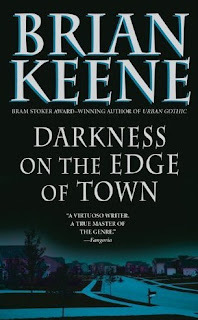 From bestselling author Brian Keene comes the much-awaited paperback adaptation of “Darkness on the Edge of Town”, another installment in his expanding Labyrinth mythos. In many ways, this is Brian Keene at his best: “Darkness” is obsessively readable, demanding a finish in one sitting, and it exposes a bitter-sweet mix of human frailty and strength, while recounting the ages-old struggle between good and evil. Also a plus for Keene fans and collectors, Leisure's paperback edition is an expanded version of an earlier small press special edition, featuring 20,000 more words and a slightly different ending. Something waits for them in the dark. It knows their names. Eats their fears, mimics their loved ones. Worse, its sly influence dampens their joy and hope, suppresses their courage, pricks their guilt and stokes their rage. As the days pass and the darkness persists, the townspeople of Walden become prey not only to the Things lurking in the dark...but to neighbors. Friends. Loved ones, also. The darkness is patient. It will wait forever to consume them...or until they consume each other. Brian Keene continues to prove himself more than adapt at mixing myth, legend, and religion in an examination of man's place in the Universe. Lovecraft is there. Greek mythology is there, folklore, too. Still, this is Brian Keene: fast-paced with an authentic voice that resonates. For another peek into the Labyrinth, pick this up today. 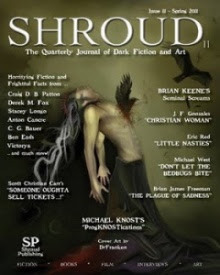 Visit www.briankeene.com and twitter.com/BrianKeene. Buy it today.